Energy expenditure calculator: how many calories do you burn per day? Training status calculator: how advanced are you? Progress calculator: are your gaining strength and muscle at an optimal rate? Do mini bands increase glute activity? Does a mini band around your knees increase glute activity in the squat? Two studies and my own experiment give us answers. Foley and friends (2017) found beginners benefited from adding a mini band to their (bodyweight) squats. But in experienced lifters the results were less clear: left glute activity increased while right glute activity decreased. However, I must underscore that they tested a 3-rep maximum, and people don’t typically train with this intensity in the gym. A second study by Spracklin et al (2017) showed experienced males activated their glutes 14.5 – 22.5% more when they looped a mini band around their knees in a 5-rep max squat. However, the company that sponsored the study is also selling such mini bands on their website; they probably wanted to see these results. Because of the conflicting results (and financial interests), Nieck Detillon (brilliant human movement scientist) and I set out to test this for ourselves. We hooked him up to an EMG-machine to measure muscle activity, and lo and behold: we found 16% more activity in his glute when adding a mini-band to a 9-10 rep maximum in the low bar squat. Still, it’s only one person in one test, but together with the 2 scientific studies it indicates that mini bands could make squats more effective at stimulating glute growth. Do you even use a mini band? In what exercise and do you feel they help? Take your Glute training to the next level. 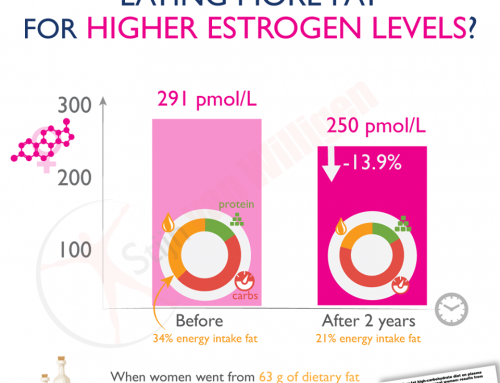 Does eating more fat increase estrogen levels? 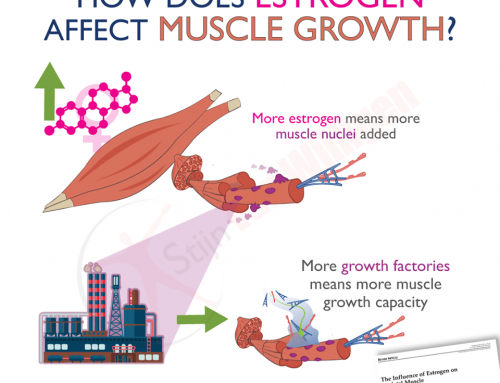 How does estrogen affect muscle growth? 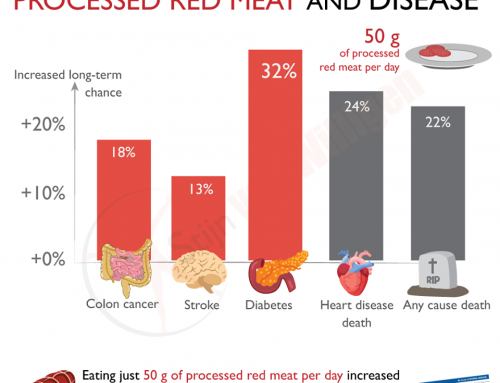 What are the long-term risks of eating processed red meat?